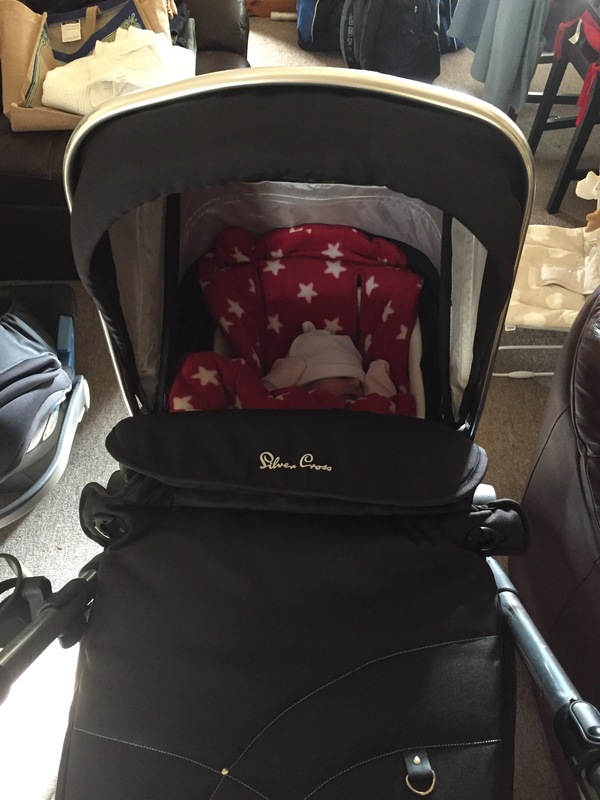 Silver Cross, the only pram that makes you instantly think of royalty. One of the oldest nursery companies in the world, Silver Cross may not be known by you but your parents will know the name of this quintessentially English brand that has been making the cream of the crop pushchairs since 1877. Throughout their 138 years heritage, they’re known for creating innovative, unique, stylish and trustworthy prams loved by all. Engineer William Wilson was the man behind the first coach-built pram, that has gone on to supply prams for royalty including King George VI, Princess Grace of Monaco and HRH Queen Elizabeth, Prince Philip and Prince Charles. Thanks to their outstanding reputation, they’ve been constantly known as the Rolls Royce of the pram world and anyone who’s been an existing or current owner of any of their prams will know what all the fuss is about. When I found out I was pregnant, I knew absolutely sod all about prams, nothing, nada, nowt. Thankfully my sister who’s mum to a 4 year old gave her views on what she thought about buying a pram and funnily enough her views on some of the industries big brands gave me a heads up to delete from the list of favourites. Fran said “I wish I spent a good amount of money on a good pram rather than just going with a label without doing any proper research into it.” She went with a pram from Mama’s and Papa’s that was useless. For the £400 she spent on the pram it was nowhere as good as she liked or needed for her daughter. Dismantling the pram was a daily nightmare. Although safe and comfy, the pram didn’t feel that solid but it had a good shopping basket and was car friendly so that worked for when it needed to. The problem was, as soon as my niece was old enough to pull herself up in the pram, the back of the pram wasn’t as adaptable as advertised and within 2 years of buying the pram, Fran bought a baby stroller that worked perfectly from age 2 to 3 & 1/2 years. 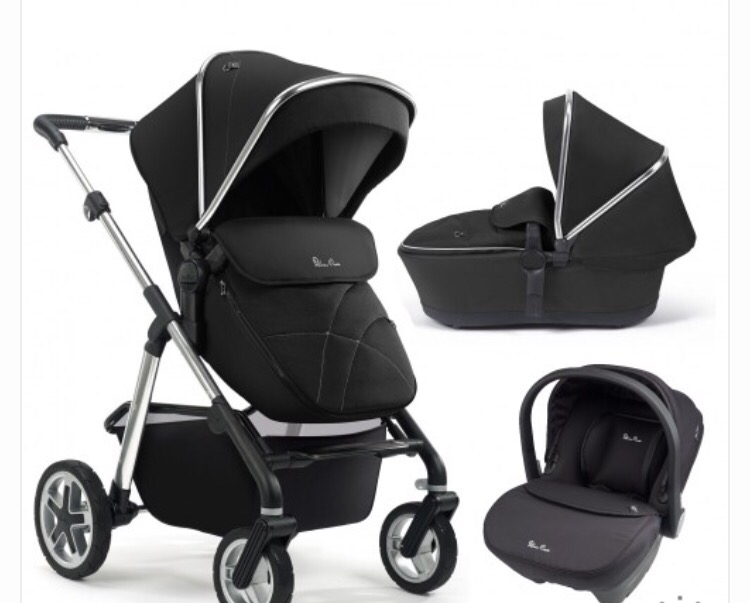 Although early, Mothercare were doing a great offer with their Silver Cross travel systems where you could buy the Silver Cross Wayfarer for £595 and get the Silver Cross Simplicity Baby Car Seat for free. So thanks to Mum we got that pram a lot earlier than needed but it was a great deal and too hard to miss. The Wayfarer is a great pram although with her in the cot, I feel like I’m pushing her in her very own spaceship. It’s comfortable, strong, trendy and keeps her very protected. The car seat doesn’t tilt back – she’s on the small side at the moment, so her little body doesn’t make a dent on how she or the seat should be positioned, which makes her look uncomfortable propped up the way that she is. Yesterday I met Emma for tea and cake and although Emily was wrapped up after our wander, waiting for the bus brought a new wave of wind and getting home meant a lot of crocodile tears then 5 hours trying to settle her. Annoyingly with the many trips around for her appointments and the lack of space on buses for extra prams around here, we mostly got cabs to get to and from our destinations. The problem with the car seat at this time of year is that the hood doesn’t come down properly, in actual fact it’s not long enough to shield her little face from the harsh cold air. 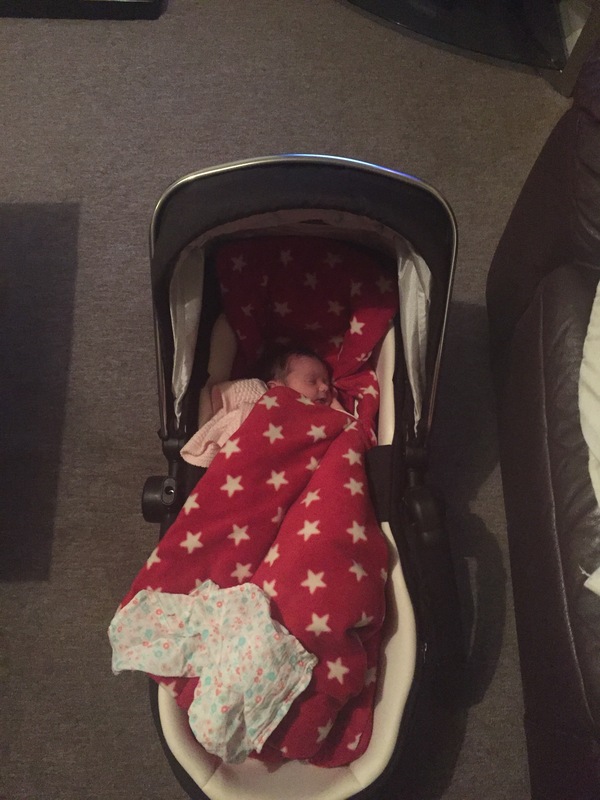 A bonus, without a doubt is that the carrycot an double up as an overnight bed solution. 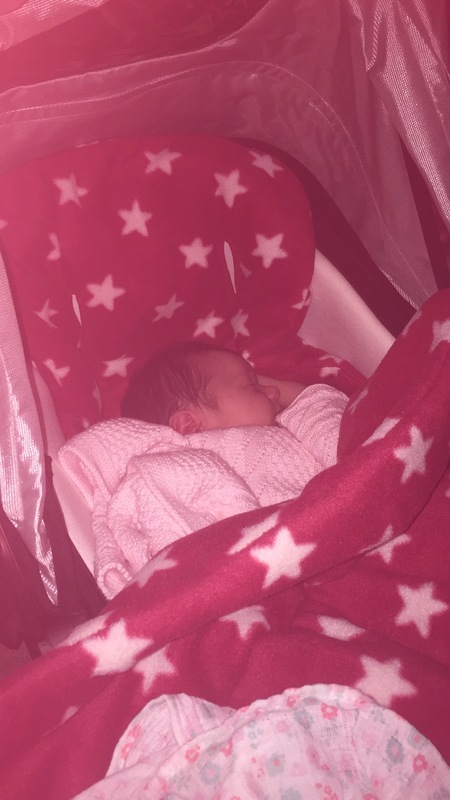 We have a gorgeous swinging crib but the space around her freaks her out, at least with the carrycot and her cosy toes inside it it can double up as her temporary bed until she’s a little bigger. It’s a huge advantage at the moment as comfort to any baby is key and she feels comfiest in this and I can have it right next to my side of the bed. So, overall how do I feel about the pram? I think it’s great. It may be early days but apart from the car seat’s small hood and the fault with the zip on the cover for the carry co, the pram is everything that I need and could want from a pram. Anyone had an different experience to me and would like to share?